Go straight to the top by choosing AVS Elevator. Your Local Elevator & Accessibility service, installation and repair company. AVS offers you the widest selection of products providing the ultimate convenience for moving from floor to floor and it also makes your home barrier-free for years to come. Stay in your home comfortably, even if mobility issues face you or your loved ones in the future. AVS Elevator provides you a cost effective, alternative from the major conglomerate corporations. - call us today! AVS Elevator presents itself as your only State and Union contracted, locally owned and operated, full service accessibility, residential and commercial elevator service, installation, and repair company dedicated to the State of Oregon. We are safe, we’re local, we’re available around the clock. AVS Elevator provides you a cost effective, alternative from the major conglomerate corporations. - call us today! When AVS Elevator's live dispatching network receives your call, the call is immediately answered and dispatched to our Key personal 24/7 by a live dispatcher. Then based on location, and who can respond to the call and be on-site in the least amount of time one of our trusted team is dispatched to your location. Our licensed and certfied employees are prepared to handle any Elevator Emergency Safely, Efficiently and Professionally. Frank, Dan Jones of Oregon Building Codes Division was on site today for unannounced elevator inspection. All OK and passed. Thanks for continued great service! Thank you, Frank We are all very pleased with your professionalism, customer service and knowledge. I have had the pleasure of working with Frank Stalen and his company over the last 3 years. Frank has installed and serviced elevators in the Greater Portland area for over 25 years. Inclinator is very excited to have such a knowledgeable dealer on our team. 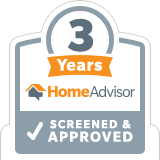 Over the past 3 years I have found Advanced Vertical Solutions and Frank Stalen to be extremely competent and trust worthy in the industry. Best of luck to you at AVS Elevator - you have dealt with the issues well and to me, that is the critical element in creating long term, win-win relationships. Hi Frank, Thank you for stopping in. I will take you up on your offer to help guide me thru the permit renewal process. I looked on the e-Permitting website and notice Tualatin licenses thru WA county and does not have an e-Permit program. I didn’t want to initially inquire about the process, since we haven’t had any PMs and need one to pass their inspection. In perusing the sites, I haven’t found a renewal application. Thank you for assisting with pointing me in the right direction, I greatly appreciate it. I have also been very impressed with your companies interest and site visits taking a more in-depth look at the elevator than others. That’s very positive to me. Thanks again for coming out. AVS elevator, owned by Frank Stalen is a company I would recommend to anyone who is looking for excellent service and professional, thorough and straightforward elevator maintenance. He rescued my old elevator with care and provided a long range approach to maintenance. The AVS gentlemen helped us a tremendous amount in reducing the cost of our elevator. Frank and Dwayne came to our church and gave us a bid of about half the price of the company we had been dealing with. They also explained that the other company was overcharging us on battery maintenance ($600 for 15 minutes of labor and a $20 battery). AVS covers the same battery replacement in the maintenance agreement for free! Frank and Dwayne were courteous, helpful, and informative about reducing our costs to a minimum. If you want your elevator costs cut along with having a conscientious, owner-run business maintaining your elevator, then call AVS. Dear Frank I can’t thank you enough for the fine work you did getting our elevator going Up-n-Down. As you know, our church has been going through a number of trials, and seeing this project completed has been like seeing sunny skies after a long dark period. The signed maintenance agreement is enclosed and we have already had a surprise inspection from the state inspector! Your patience and professionalism is certainly amazing and much appreciated! I am glad you are overseeing the maintenance of the elevator! I needed help with my wheelchair lift immediately and didn’t know where to turn. I called several elevator companies but when Dwayne answered the phone at AVS and listened to my needs and asked important questions about the lift, I knew that this was the company that genuinely cared about my situation and its urgency. The very next morning, I had the owner of the company and an experienced and well seasoned technician getting my lift to work. What a relief! They worked with me to get the lowest cost option that fit my needs and took great care of me. Thanks you guys! you’re the best! Thank you for your quick and organized elevator service. Even thought Frank had to respond to an emergency they made time in the evening to come and repair my home elevator. He is a Prince ! Thank you ! After calling just about every Elevator Company in town about this job, you have been the only one to help us get this lift back up and running, so that is impressive in itself. The store was happy with the work done also. I personally appreciate your quick response to my phone calls & emails & keeping us updated on your site visits, estimates and work done. Communication is a vital part of what we do with managing jobs & keeping our client updated, so when we find companies that value that also it makes our job so much easier. I have been very happy with your elevator company and look forward to working with you further. Frank, I just wanted you to know how much I appreciate the effort and time you and your team provided us in the urgent elevator repair we had. The service you provided us was well beyond any service I have ever experienced from any Elevator Company. This all beginning with the first call to your company. I see us working together more in the near future. It is great to work with an Elevator Company that not only provides excellent elevatror service but understands the customers needs. Thank you again. The elevator is now running very smooth. Thanks for getting this fixed. Our previous elevator company never could get it to work properly. AVS Elevator, It was a pleasure meeting you and your company President. I have been so impressed with this elevator, the design, operation, fit, and finish. I know this job site presented some challenges but the installation team at AVS Elevator was top notch and I am very impressed with their expertise and concern for a perfect fit and proper operation. They were probably the "NEATEST" subcontractor on this home construction as well! I am also comforted to know that service is nearby if I should ever need assistance. As I mentioned, my previous experience with a home elevator was on an island in the Puget Sound and service was a ferry ride away (and many hours) so I am much more comfortable knowing support is minutes away. Again, my sincere thanks as we are so very grateful for the gate/track modifications that will allow us to get Rick’s power chair into our New Elevator. As I mentioned, this is a significant improvement over our first elevator and we recognized it right away. The final modifications to ensure the maximum entrance width for my husband’s Permobil wheelchair will make all the difference for us! I am very appreciative of your quick response to our call for help. Dear Frank, We are so pleased with the work Dennis did on our “vintage” lift yesterday, and with the great service and super-fast turn-around from your company. Impressive indeed! Thanks again for a great job! I wanted to thank you for the time you spent today on the stairlift. We are both very impressed with the level of personalized service and after care that you provide. Everyone that worked on the stairs and lift have been really professional and friendly, and my mum is really pleased with the results. We have really enjoyed the new stair lift. Your crew was professional, efficient and fast. Thanks for all that you did to make it all happen so quickly. Use of the New Outdoor Stairlift in this wonderful fall weather has allowed to continue gardening. Frank and his team were a pleasure to work with. Once the stairlift arrived, they installed everything in one day. Great service! We’ve had great service from Frank and his team at AVS Elevator over the years. If you are looking for the right elevator service company than look no further by calling Frank, the owner of AVS at (877-221-8554). You will not be disappointed with his response and quality service. We are VERY happy and grateful to AVS to service our elevators on the OREGON Coast.